This quarter we have a breaking news about the award given to our Director, Dr. Hilonga. 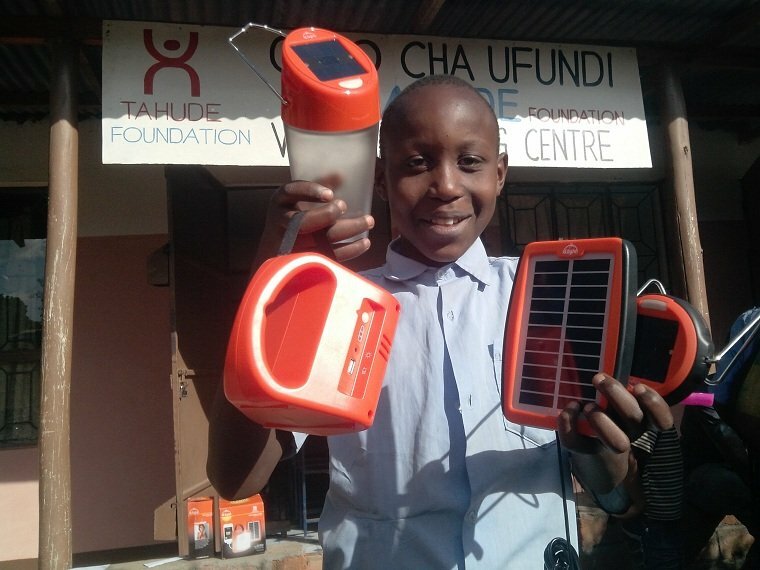 But first please share our excitement for the new partnership established for expanding our solar lantern project in collaboration with an organization called "Made With Hope" - a UK Charity. We were approached by Eleanor Riley who is the Founder of Made With Hope. 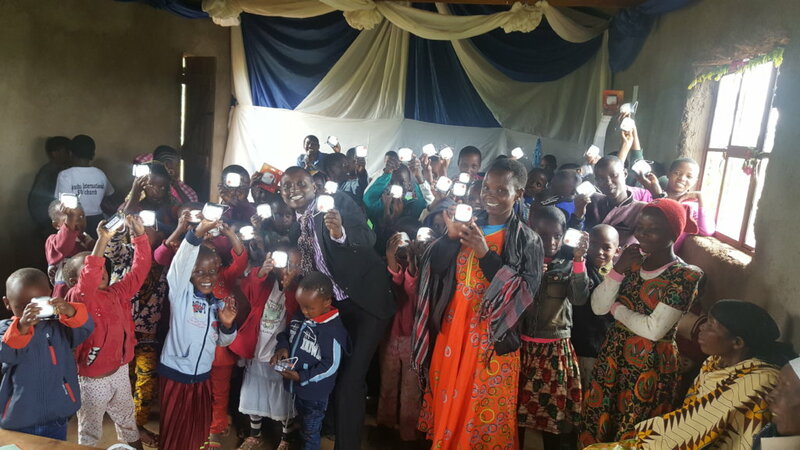 To kick off our partnership, Made With Hope has purchased 50 Solar Lanterns that will be given to schools in Arusha, particularly CHETI Schools. With this kind of very generous organizations we will be able to reach more and more people in need of our service. THANKS to all our supporters through GlobalGiving who sustain our activities and gave us credibility to be trusted and engage in further partnership with other reputable organizations. LAST BUT NOT LEAST, we are so happy that our Director Dr. Hilonga has just received an award by Johnson & Johnson Company, U.S.A. 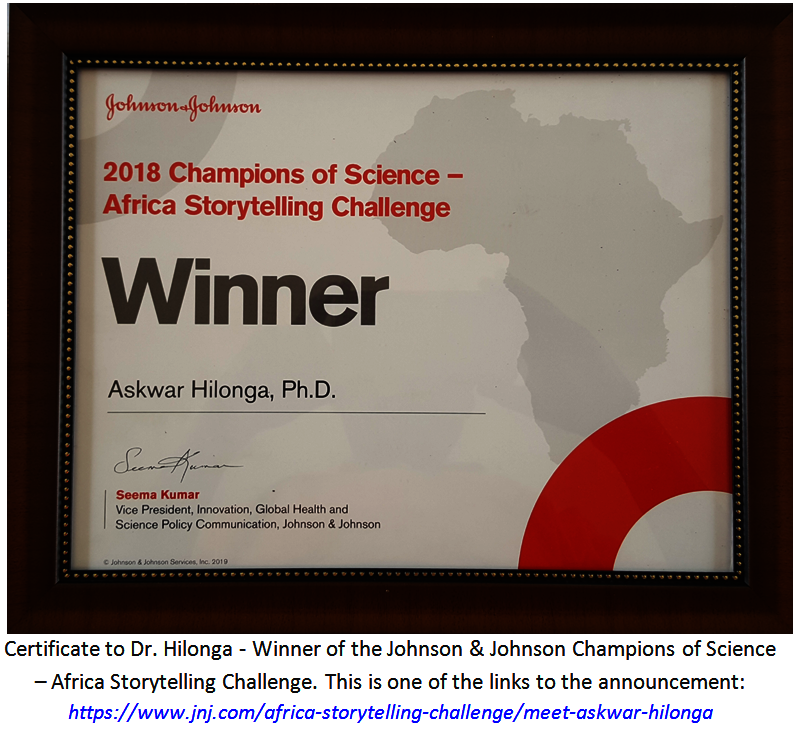 It is called Champions of Science Africa Storytelling Challenge. The award included $5,000 and a 5 days trip to Washington DC, U.S to receive the award and attend the American Association for Advancement of Science (AAAS) meeting. The award received will boost the construction of the Inspire and Empower Enterprise Training Centre. We are sure that this award will inspire many young people in African and around the world who are coming from challenging economic background: YOUR PAST DOES NOT DETERMINE YOUR FUTURE! This is a breaking news to all who supported our growth since Dec 2010! 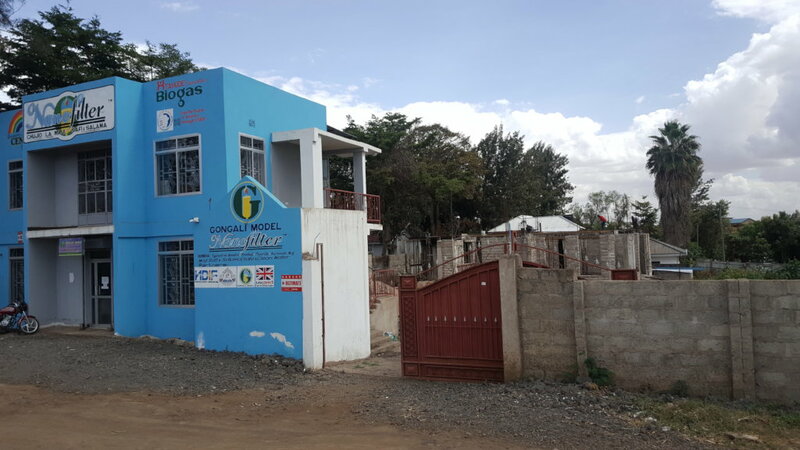 At last we have moved to our own new office in Njiro Arusha Tanzania. The office has increased our reputation and visibility - it has attracted the attention of our beneficiaries and partners from all around the world. Within 2 months after moving to our new office, we already received a good number of visitors - including tourists who are visiting Tanzania. Most of the visitors (about 100) came from Germany, UK, USA, France, and South Korea. From their stories I learnt that most of the tourists wish to make an impact to the people in rural communities but they don't get a proper guidance or direct way to make impact. Our new office now serves as a coordination point for anyone who wishes to make impact to our community in a transparent and "value for money" approach. 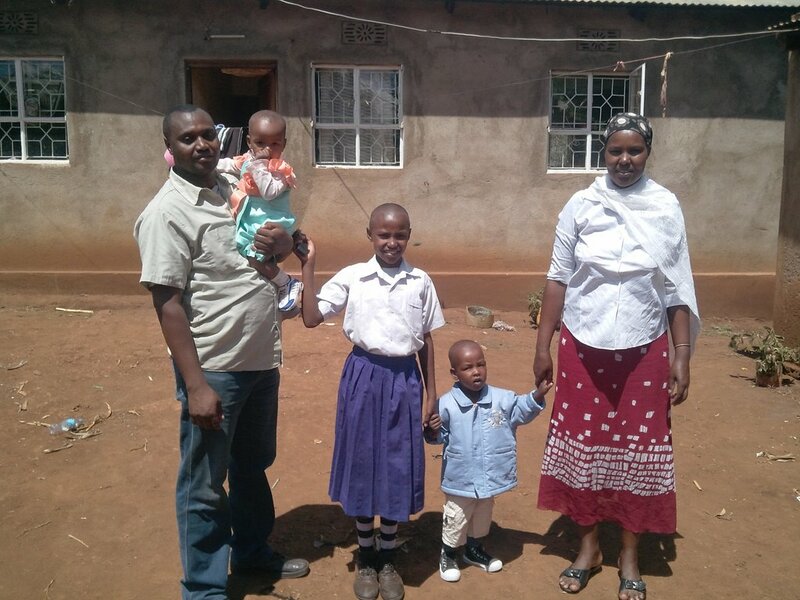 Please kindly feel free to contact me (hilonga@gmail.com; +255764574919 - also available on WhatsApp) if you are interested on how we can partner for bigger impact to people who need our service in rural Tanzania - people who cannot write to you directly, as you read from me now. I am determined to be a bridge between those people (who need our service) and you. (iii). 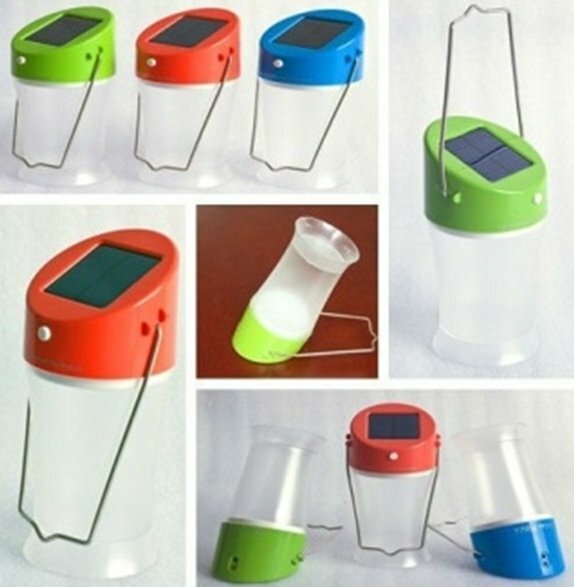 Solar Lantern for School Children. 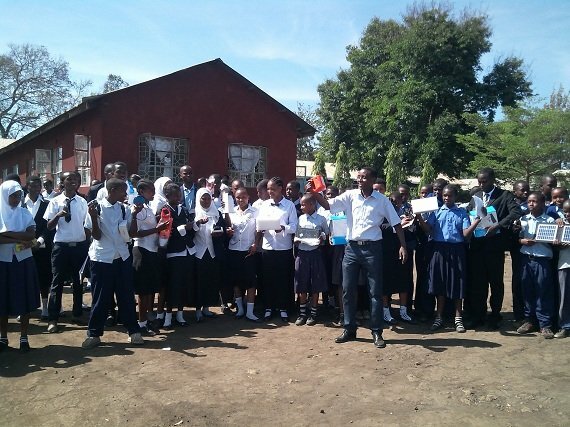 We also conduct inspiration and empowerment (business training) to young people in Tanzania. At your convenience, please kindly see how we can work together. 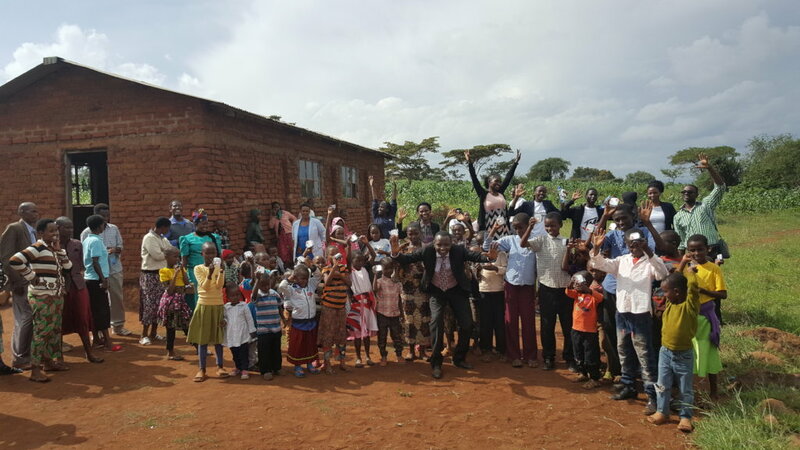 Along with this report, please enjoy some few photos of our team of 65 young Tanzanians working with me (employees) and some visitors to our new office. 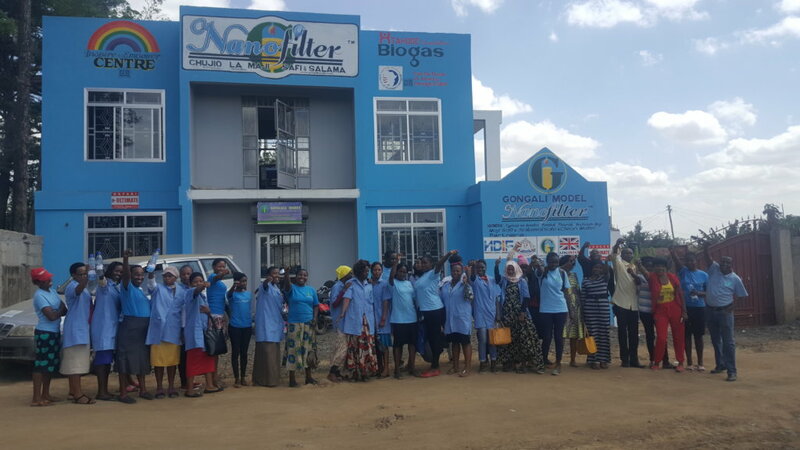 Happy employees at the new own office for Nanofilter, Biogas, .. This quarter we did not receive funds - but we are so glad that at last we have got a massive support for our project. We just received confirmation for 3 students volunteers from UK, 1 from U.S, and 10 from Tanzania. 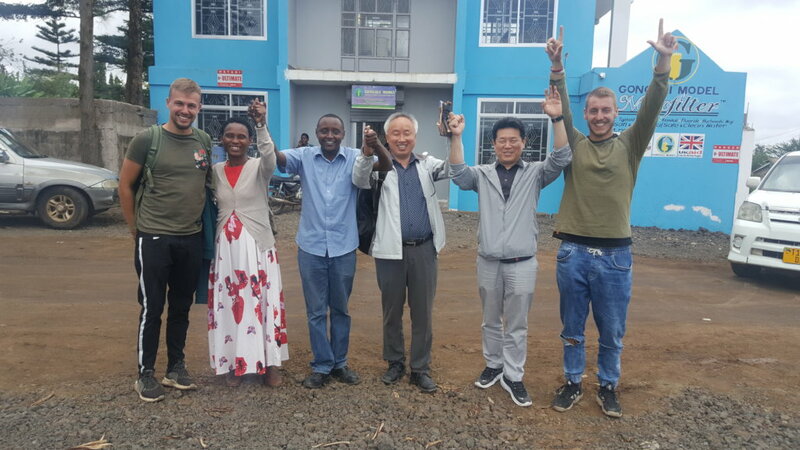 These Volunteers will assist TAHUDE Foundation in the grand campaign in Africa - To raise funds for Solar Lanterns to 1 Million African children in rural areas. This will be a commendable milestone in our organization history and a life-time memory to our beneficiaries; the school children. 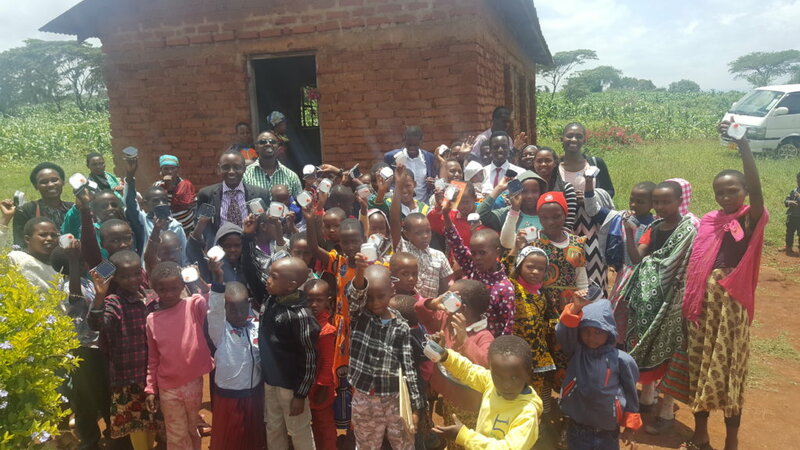 This quarter our brilliant student at Edith Gvora High School (name reserved), conducted a wonderful experiment to see how school children's performance improve when they were given solar lanterns. 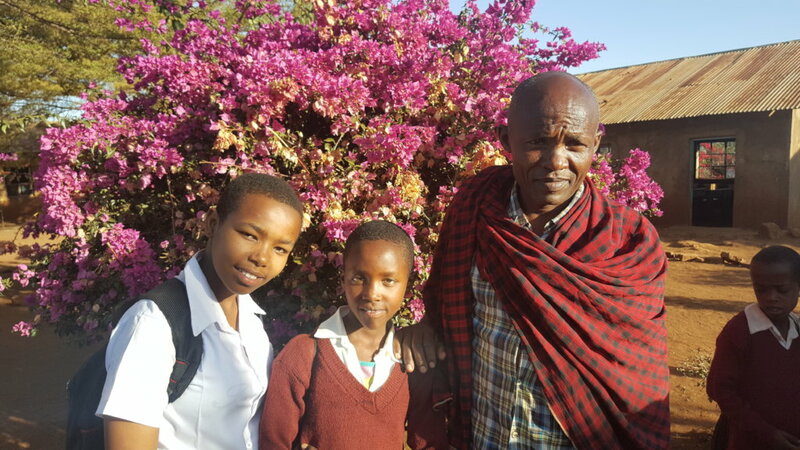 She only chose school girls because she felt it is important to help girls have more time for study so they can pass their examination and go to higher level of education. 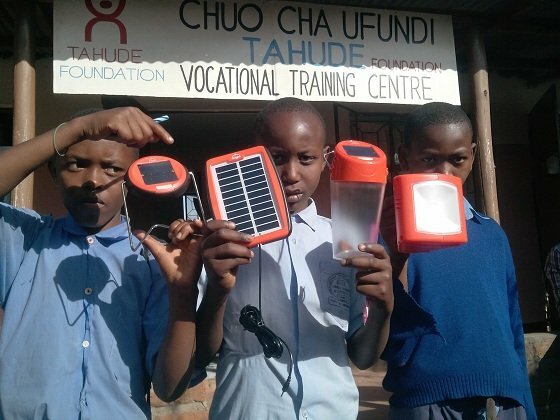 TAHUDE Foundation provided her with 60 solar lanterns (purchased through generous support from Women in Science - WiSci 2017 Small Grant) for experiment and mentorship. 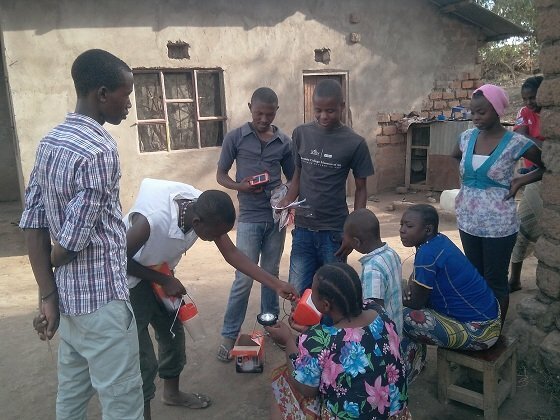 She compared the performance of girls in their first examination (before she gave them the solar lanterns) and after they use solar lantern for one month. She also evaluated the attendance of parents in the meetings she conducted with the girls at Gongali Primary School. Detailed for the findings of this experiment is available at your request, if you need it. Please write to ruthelineema@gmail.com or hilonga@gmail.com if you are interested. 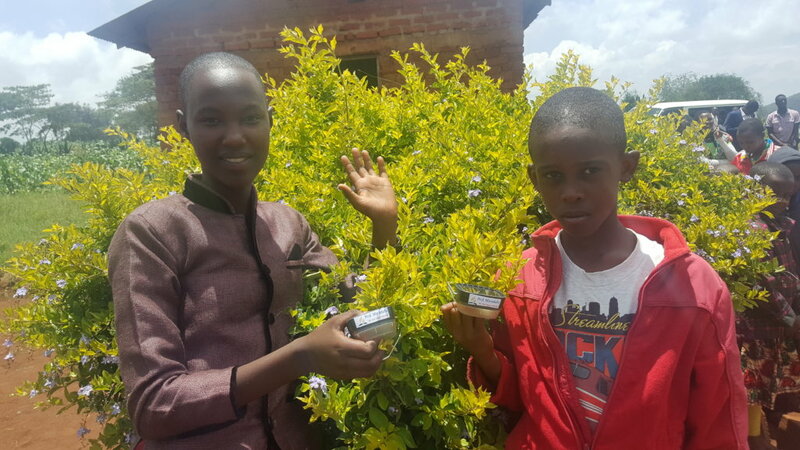 But in short, the students who failed in their first examination performed very well (some of them up to 200% increment on examination marks they scored) after they were given solar lanterns so they had extra time for study and preparation for the second examination. Please kindly write to us if you are interested to hear more about this fantastic experiment. The problem is caused by poverty and ignorance (lack of awareness). Parents of failing girls are poor. They cannot afford to buy light for their children study during extra time. 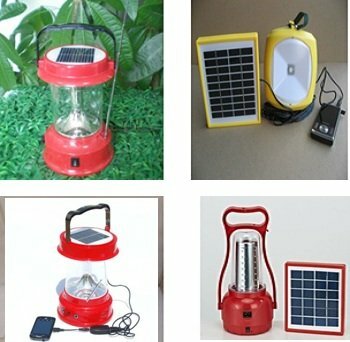 Those who might be able to buy at least a solar lantern are not aware of where to get those products and if it can help to improve the performance of their children in school. Many girls in primary schools in my village fail examination because they have no enough time to study at home. 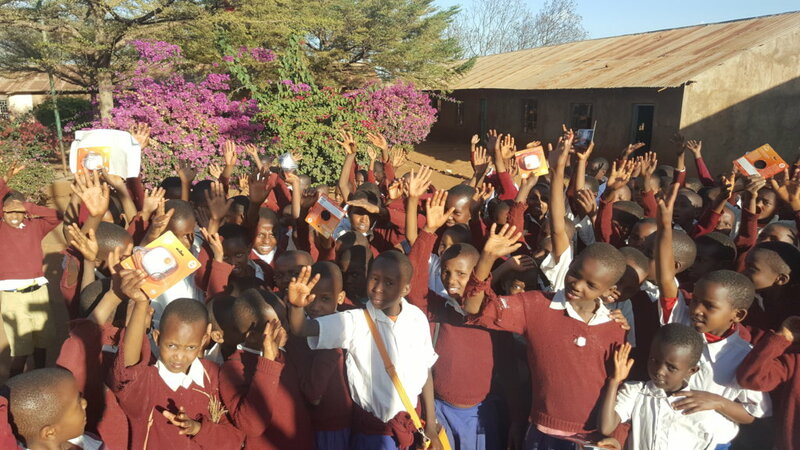 There is no electricity for them to study at night and during the day the girls help their parents to do home activities like fetching water, cooking, and taking care of small children (babies). In the night and early morning those girls have free time but again they cannot study because it is dark and there is no electricity. 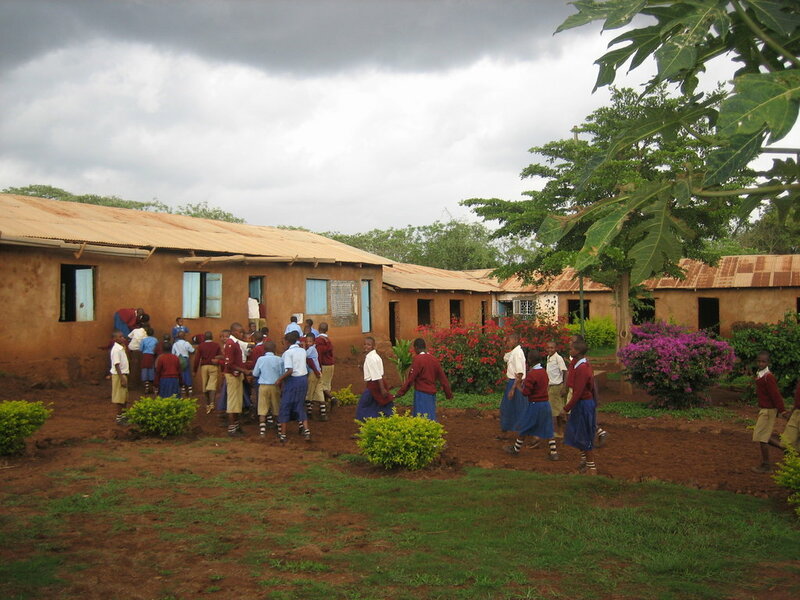 Lack of electricity in my community is a big problem affecting the performance of pupils. THANKS FOR YOUR GENEROUS SUPPORT TO MAKE BIGGER IMPACT IN 2018!